Wifi, Great camera and sleek design. 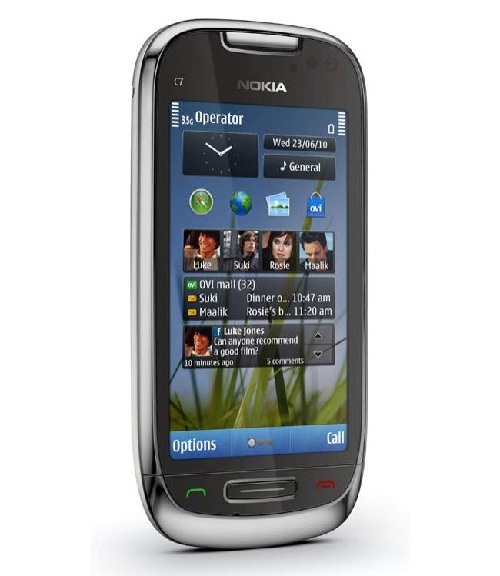 Nokia C7 is my christmas wish because instead of buying a phone, I'd have to save money to visit my doctor since I'm having a hard time walking with my metal implant lately. My metal implant surgeon doctor recommended that I visit for rehabilitation and therapy since last year but I skipped because of financial difficulties paying the last obligation to the hospital that skyrocketed to P99,9998.00. These days, searching for the best shoes and sandals constantly failed. I have felt so much disappointment and resorted to cane to help me move to different places. I've been wanting to buy a new Nokia phone to replace my old Nokia 7210. Compared to other phones, it has a 8-megapixel camera with dual LED flash I can use everyday if my digital camera batteries fail me at events and restaurant reviews. I can easily access my email with its WIFI capability when some friends need that urgent response. I can easily use the video camera capabilities to document school events and blogging activities for faster sharing to all friends online. I think I deserve a Nokia C7 since I've been working so hard being a coach/trainer for student writers in Lagro High School and I've been an active blogger documenting significant moments and events to share with the deprived majority. I think I deserve this considering all my efforts, hardwork and physical challenges. Good luck po! regarding the contest for C7!